Ooo, I cannot even begin to tell you how thrilled I am that today is Friday! Because in addition to it being Friday, it’s now officially spring AND spring break starts today when the kids get out of school! 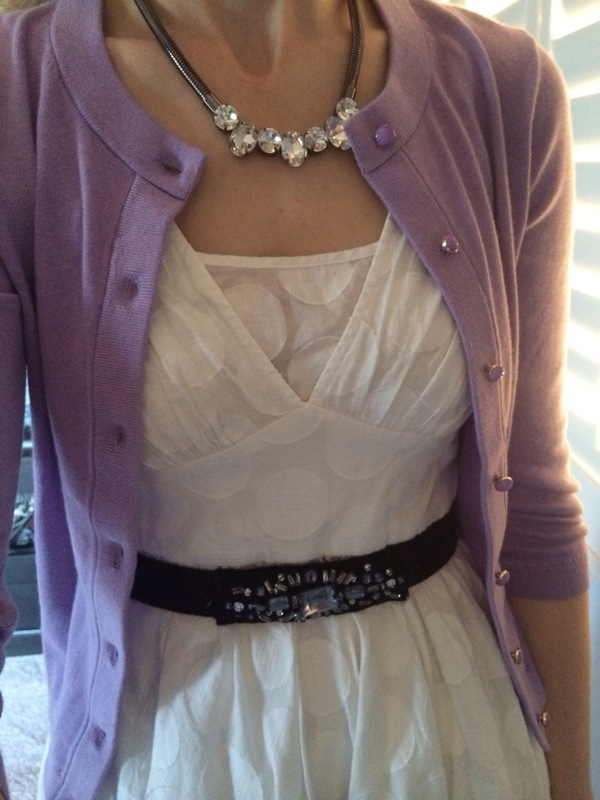 I have to share how much I adore Kate Spade cardigans! They wear beautifully and I hand-wash them. This and the pink one I wore two days ago both came from the Woodbury Commons outlet, a huge thank you AND shout out to the fabulous ladies who work there! They are awesome! 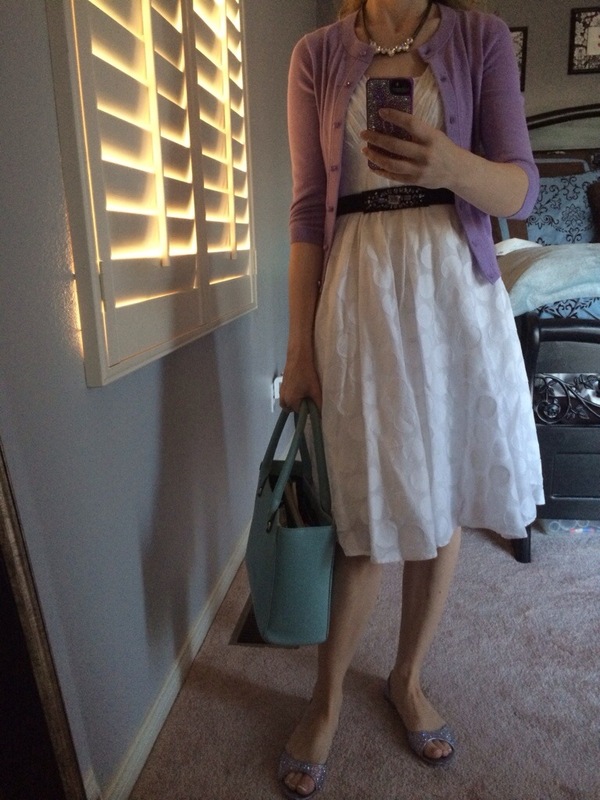 This entry was posted on March 21, 2014 by katespadegirl. It was filed under Outfit of the Day and was tagged with Calvin Klien, DIY, It's a wrap, Kate Spade, Nina, strass, Target, woodbury commons outlet. Oh so it was like 20-30 bucks?? Why was it so cheap? What a steal!! Fun dress and shoes too. Well all of it is fun haha but I especially love the dress. I love dots. The dress I picked up I think at goodwill? It was under $10!! I think, but don’t quote me!!! Wow that’s crazy. The outlet closet to me is 4 hrs away,sadly. I never saw a sweater that cheap there. I love Goodwill! I get a lot of my clothes there. swoon! I love your blog! Thank you!!! I adore yours as well!! !